Services – Window On Wheels, Inc. Roof Cleaning with Soft Wash is a non-pressurized approach to roof cleaning which removes Algae (Gloeocapsa Magma), Mold, and Lichen from your roof. Algae (black streaks), Moss (dark green growth), and Lichen (light green spots) are the three main culprits which are harmful and unsightly for your roof if left untreated. W.O.W. uses only ARMA (Asphalt Roof Manufacturers Association) approved ingredients and techniques to clean your roof and we are as environmentally safe as possible when doing so. (Please see our Roof Cleaning Information Sheet provided with your estimate). Power Washing removes mold, mildew and dirt from your home, building, shed, deck, patio, pool area, walkways, driveway, garage floor, foundation, hatchway, fence, etc. All surfaces are thoroughly scrubbed and rinsed including exterior gutters. Windows On Wheels has cleaned thousands of properties since 1988. 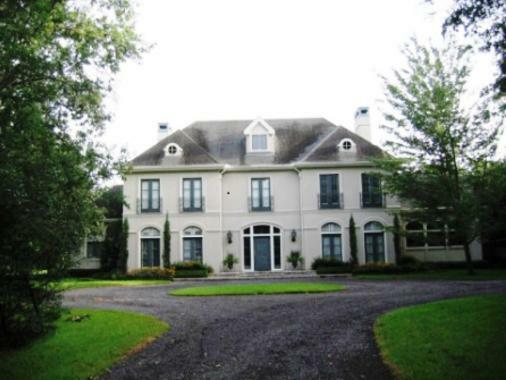 We clean vinyl, clapboard, stucco, brick, cement, aluminum and much more. 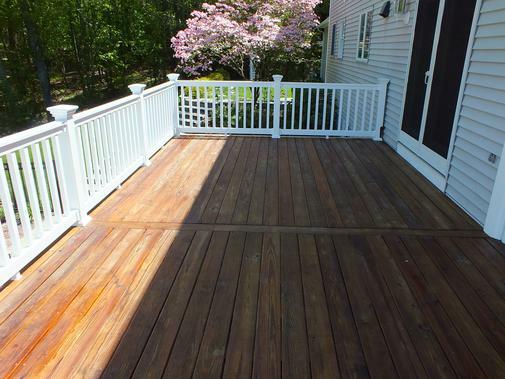 We also specialize in wood restoration such as decks and fences. Wood types such as Pressure Treated Pine, Cedar, Mahogany, Ipe and Composite materials are items we clean every day. We strive to be as environmentally safe as possible always protecting your property, pets, family, landscaping and other valued items commonly found outdoors. Along with leaving your home sparkling clean, we can educate you on contaminants such as mineral deposits, roof algae's and lichens and help you with a plan to rid these. Window cleaning includes windows cleaned inside & out and outside only. Sills are wiped down and screens are scrubbed. We clean storm windows, skylights, outdoor lights, chandeliers, glass shower doors, cellar windows, etc. We remove dirt, grime, mineral deposits, paint, glue, stickers and use the finest products to clean your windows. W.O. W. takes great pride in our window cleaning services as this is where we first started 31 years ago. Your windows will be perfect! Spotless and streak less after every job! W.O.W. Employees will not enter your home with soiled shoes. 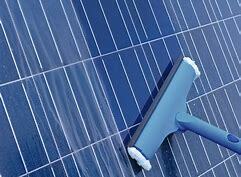 There are many factors that can impact the cleanliness of Solar Panels, i.e. water, chemicals, bird droppings, tree debris and pollen. This can harm theefficiency of the panel and you will have a higher energy output if you clean them regularly. We use soft cloth scrubbers and a soap solution to remove all dirt, pollen, grime, etc. and then lightly rinse the panels. Save yourself some time and money by cleaning your panels on a regular basis! Our Team knows that cleaning your glass is only part of the equation. We know from years of experience that making you comfortable with our team and working in and around your home is extremely important. Our staff will be as clean and professional as possible and treat your home with the utmost care inside and out! Feel free to ask for referrals at any time. Gutters are made to direct large amounts of rain water from your roof to areas away from your siding, foundation, and entries. 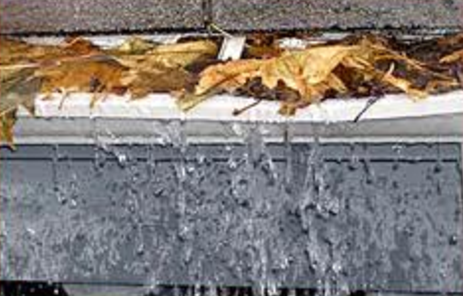 Clogged gutters can result in water backing up into those areas thus causing problems in your basement and other areas around your home. Interior Gutter Cleaning removes all debris from gutters and downspouts. All areas are rinsed thoroughly to make sure gutters are flowing smoothly. Debris is picked up and taken away. We also inspect and make repairs such as re-riveting connections, caulking seams and tightening and replacing spikes and brackets. 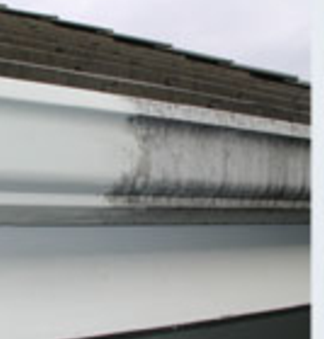 Exterior Gutter Cleaning removes black streaks and dirt from the outside of your gutters. The exteriors of the gutters are scrubbed with soft brushes and solution to remove all stains. This is a separate process from interior gutter cleaning but is included with Power Washing your home or building. When it comes to cleaning and staining your wood products such as your deck, gazebo, home or fence, it's essential to know the correct methods and products to do a professional job. Windows On Wheels has a professionally trained staff with great knowledge of cleaning, stripping, conditioning, and staining your deck, fence, etc. of all shapes and sizes. W.O.W. will provide samples of stains upon your request and answer any questions you may have regarding this service.